My little man had the best Batman birthday ever! I'm always torn on my children's birthdays if it's better to bake their cake or buy it. I love spending the time and love on their birthday cake, but sometimes I wonder if they would prefer that time spent playing with me. So I let them decide which they would prefer. I've also found that super cute, decorated cupcakes are a great way to make them cake, but not spend half their birthday working on it. 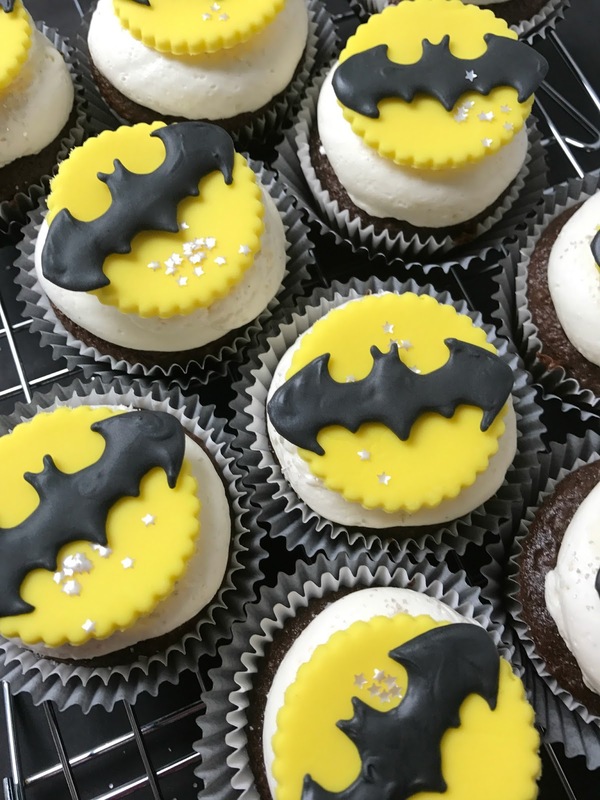 I knew I wanted to create Batman cupcakes that Tommy would squeal over! Batman's noticeable colors are black and yellow, but I didn't want black icing at the party. Blech - no one wants to send a bunch of cute preschoolers home with black dyed teeth, lol! My solution? Dark chocolate cupcakes filled and topped with lighter than air vanilla buttercream with a Batman cupcake topper. You can use store bought or homemade marshmallow fondant. Dye it with a bit of yellow food gel. I mix it together while wearing gloves. Why? It will spare you yellow dyed hands and fondant will pick up any spare dust on your hands. You don't want that on your toppers! 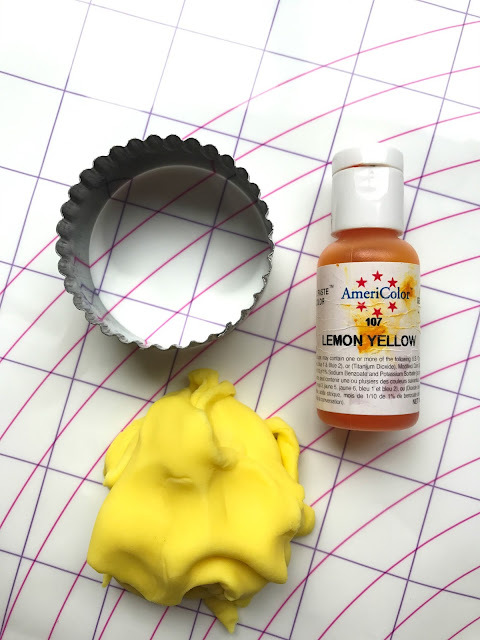 Roll out your fondant to 1/8" thick and cut with a scalloped circle. This cutter was about 2.5" in diameter. Set aside and place in a dark, dry box. Allow to stiffen for a day or two; this is a perfect step you can do in advance of the party. 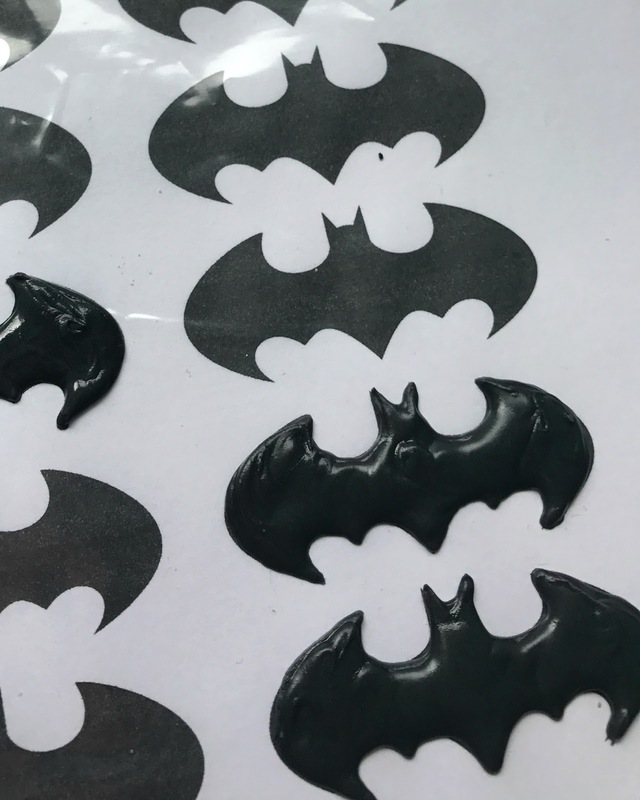 You will also need black Batman royal icing transfers. How to make them? Print out a sheet of your desired Batman logo. Place a piece of parchment on top or you could use a cut up Ziploc. Using piping thick black royal icing, copy the design on the parchment or Ziploc. These can sometimes be fragile, so make a few more than needed. Allow them to dry for 24 hours and they should just pop off. Store in a cool, dry spot until needed. This is another great step for a day or two before the party! Bake your favorite cupcake and decorate sky high with buttercream, I choose a vanilla to spare the kiddos from dyed teeth! 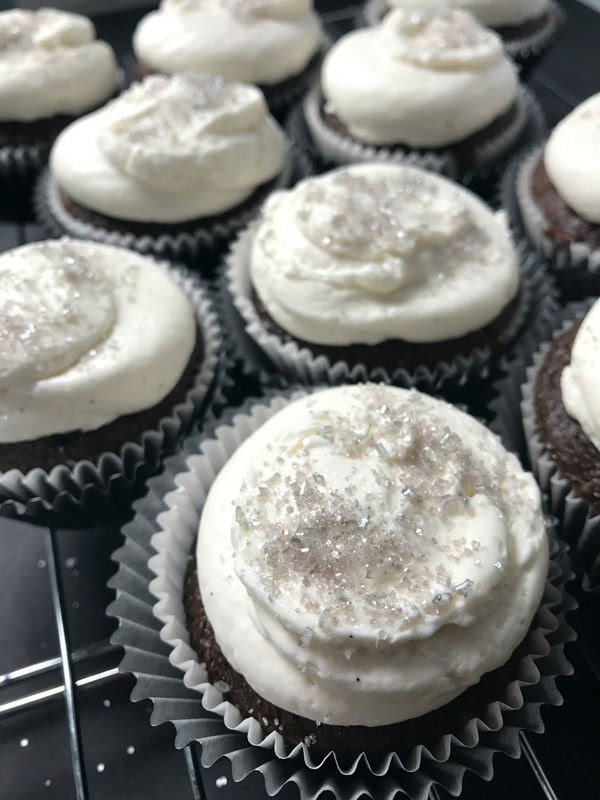 I also decorated with the most gorgeous silver sugar. Are you short on time? Go get some delicious cupcakes from your local bakery - I won't tell! And with your fondant decorated Batman toppers, no one will ever know. Gently place a fondant circle on your buttercream and drop a large dot of black royal icing in the middle. Carefully place a dried Batman on the icing and allow to firm up. I do all of this just before setting the cupcakes out for the party. The buttercream will soften up the fondant once they are touching. Want to watch a video on how I created the cupcakes? Click the YouTube movie below for all the details! Have questions? Let me know!